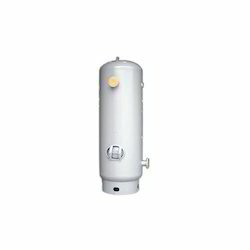 We are counted among the trustworthy firms that are offering a range of Pressure Vessels. All our products are designed by a team of experienced professionals to hold different liquids and gases at certain pressure level. Clients can avail these vessels from us in varied designs, sizes and technical specifications at affordable prices. Further, our quality auditors ensure that only flawless vessels are delivered at customers' premises within the scheduled time. 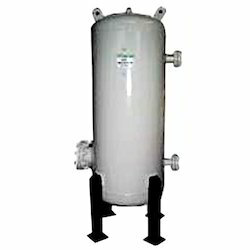 Our organization is engaged in offering a wide range of Air Receivers to the patrons. Manufactured using quality approved raw material, these products find their wide applications in rubber factories, chemical plants, shipyards, fertilizer plants, paper mills and sewage disposal plants. Moreover, patrons can avail these products from us at reasonable rates. 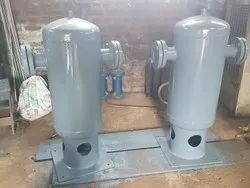 Moisture Separators are used to separate the moisture from the Air in Compressors and other Process Engineering Equipment. 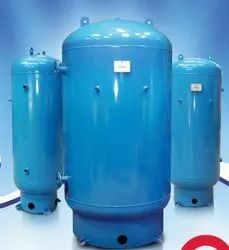 Moisture Separators along with water cooled intercoolers and aftercoolers are manufactured and supplied by us as OEM to many of our esteemed customers.